Minnesota's political leaders put on a show of unity Tuesday even as partisan discord grips Washington. The state has already absorbed tens of millions of dollars in expenses that the federal government would normally pay. Now that a partial federal shutdown is in its fourth week, Management and Budget Commissioner Myron Frans is increasingly worried about the dent it could put in the state's finances. The impasse is rooted in a dispute over border wall funding that President Trump is insisting on and Congress hasn't delivered. In the meantime, a quarter of the federal government is closed or operating in a limited fashion. Employees are going without paychecks, transportation dollars are hung up and money for food stamps and school lunch programs has been thrown into doubt. 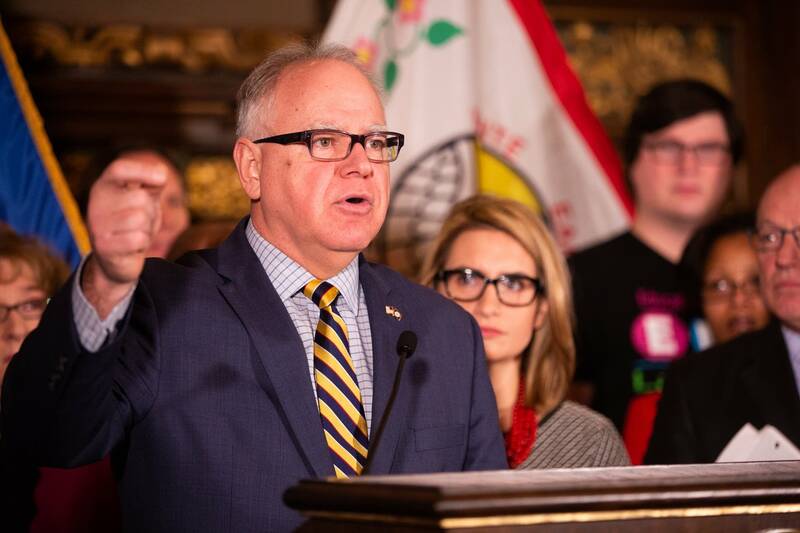 Minnesota is doing what it can to fill the void, said Walz. "As of this time, we're telling you, there have been no services cut, there has been no one laid off," he said. "All benefits are being paid according to as they were before the shutdown. And that is continuing." But that means using state money to plug costs for now and hoping that the federal government will reimburse Minnesota once the dispute ends. In recent days, social service agencies worked overtime to beat a federal deadline for verifying food assistance recipients. After this week, those who aren't signed up might not qualify. And even those who are could see payments get tight. "People are going to be running out of their assistance earlier in February than anticipated. But when we're going to need to step in is around the first of March," said Human Services Commissioner Tony Lourey, noting that the state spends about $42 million per month for the 400,000 Minnesotans enrolled in the Supplemental Nutrition Assistance Program — commonly called SNAP or food stamps. "Think about the widower in Thief River Falls or Hutchinson or Minneapolis or St. Paul who can't survive on her Social Security. These are the recipients of SNAP. And food can't wait." 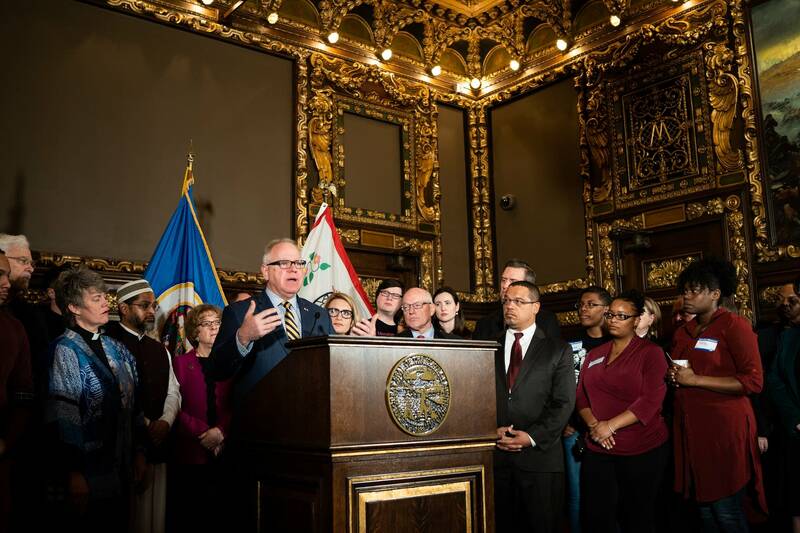 Lourey was among a bipartisan group of government, community and religious leaders who stood with Walz in a packed Governor's Reception Room to project a sense of order in St. Paul despite the disorder in the nation's capital. "When Washington is in a disagreement, I think showing the stability of state government of Minnesota is important," Republican House Minority Leader Kurt Daudt said. "You're talking about health care and food for our most vulnerable populations. I think it only makes sense and everyone can agree that we need to step up and make sure people have those services." Daudt said legislative Republicans are ready to help pass emergency appropriations if the Walz administration deems that essential to keep programs afloat, which prompted applause from Walz that rippled through the lawmakers and faith leaders lined up behind the podium. Commissioner Frans says more problems could arise. Tax filing season is set to begin in two weeks, but the IRS is operating at limited capacity. And then there are the reimbursements for checks the state writes for federal services. 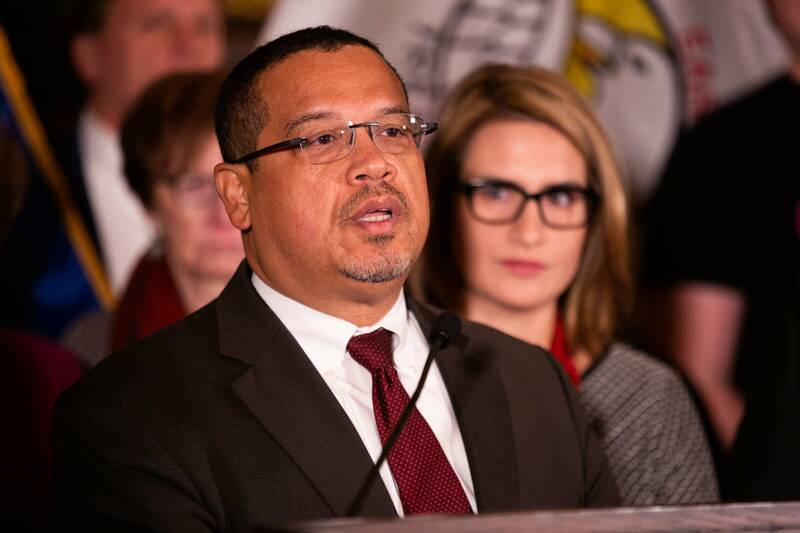 DFL Attorney General Keith Ellison said his office is examining that. "We are researching our legal remedies at this very moment and have been and are prepared to take full use of the legal system to enforce the contracts and the commitments that the federal government has made." Walz doesn't anticipate it coming to that. "I can't imagine there is one of the 49 other governors that is going to be OK with telling the federal government, 'Sure you just keep the money. We went ahead,'" he said. "No, that is not going to happen."